In the early 1990s, there was a growing dissatisfaction with exclusive reliance on engineered solutions – such as upstream water storage and channel modification – which still holds true today. We cannot simply build walls to keep water where we want it, whether that’s behind a dam or within river levees or away from our coasts. Instead, we need to incorporate natural solutions and buffer areas for water, to help prevent catastrophically damaging flooding. Past and present land and water management policies have increased the magnitude of floods, settlement in flood-prone areas and overall flood damages. Dams specifically have had a multitude of negative impacts. They have increased downstream flooding by diminishing channels’ capacity to pass floods. They also have eliminated natural flood cycles and altered water quality, quantity and timing – all of which are important to ecosystems. Dams also have resulted in changed land use practices that exacerbate the magnitude and scale of flooding and related damages. We were aware of these dam impacts back in 1994. While there have been some efforts to remove obsolete dams (for example, the Elwha Dam) and change dam operations to lessen their impact (for example, Glen Canyon Dam), much more can be done to modernize dam flood control manuals. Now, more than ever, with added stressors caused by climate change, we need to revisit dam operations to address changing conditions and interests while also improving vital river habitat. So, too, should we adjust land use planning around and below dams to allow for much needed additional flexibility to both store greater amounts of water and safely pass water downstream. 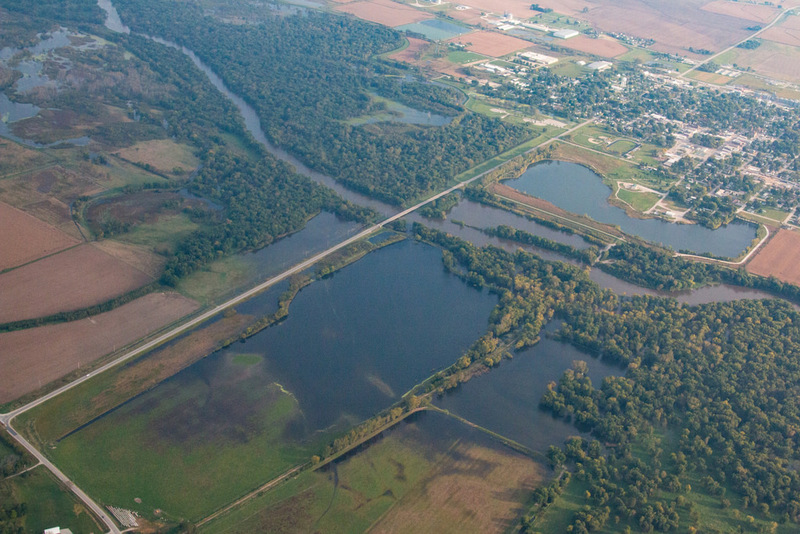 The goal of good floodplain management is to reduce communities’ vulnerability to flood damages while concurrently enhancing and preserving the natural and beneficial functions of the floodplain. It’s time we stop talking and get serious about improving our nation’s floodplain management. It’s vital to apply a sequential strategy of first avoiding risk, then minimizing it and finally mitigating hazards. One strategy for reducing the magnitude of flood flows is to capture as much rainfall as possible where it falls, considering how wetlands restoration, natural and artificial reservoirs, and improved land treatment can help with this. It’s also critical to integrate community needs like recreation space and water quality improvement, while also avoiding building developments in floodplains. Such planning can also help us look for opportunities to strategically reclaim open space in floodplains to lower flood damages. Finally, and perhaps most importantly, we must rely on robust science and apply increasingly smart technologies to understand risk and identify solutions. As it was in 1993, the problem is not lack of understanding on how to manage floodplains and associated watersheds. It is a problem of will and organization. Operating together with common goals, governments, businesses and private citizens can make floodplain management and sustainable development a reality. Flooding has become so frequent that the National Flood Insurance Program is no longer solvent and hasn’t been for over a decade – and climate change promises to make flooding and storm damages worse. We can’t afford to ignore the toll that flooding and storms take on our lives, our health and our economy. We also can’t afford to ignore the lessons we’ve learned about our growing vulnerability. We know what needs to be done. It’s time to put those ideas into action and get serious about building resilient communities. This entry was posted in Coasts, ecosystems, western water and tagged dams, flood insurance, flood protection, flooding, floodplain management, floodplains, floods, Great Midwest Flood, natural infrastructure, risk reduction, water storage. Bookmark the permalink. Both comments and trackbacks are currently closed.